The eurozone’s problems are not just caused by poor management in the South, but by its asymmetrical architecture and unfair implementation of the rules. 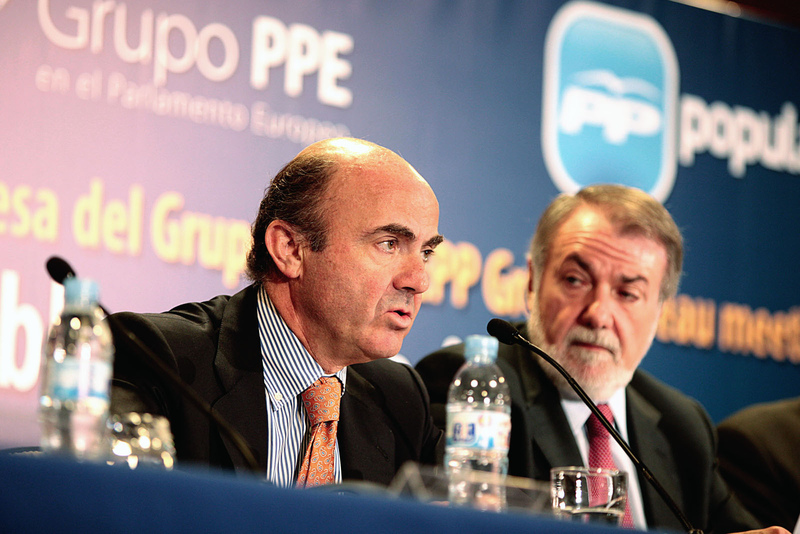 A fiscal capacity would level the playing field and answer the Eurosceptics, write Ernest Maragall and Jordi Angusto. Ernest Maragall is a Nova Esquerra Catalana (New Catalan Left) MEP and a member of the Greens/EFA group. He sits on the European Parliament’s Committee on Budgets. Jordi Angusto is an economist and his policy advisor. If June was an important month for Europe, with Brexit shaking the EU to its core, then July has been vital to the advancement of a structural redesign that could be the best response. We refer to the European Parliament’s call for a fiscal capacity for the eurozone, designed to bring the EU back onto the shared and sustainable path of prosperity and growth. The idea is quite simple: EMU asymmetry, with monetary policy centralised at EU level and fiscal policy decentralised at member state level, left us unable to avoid the euro crisis and unable to exit it promptly and equitably. Prior to the crisis, divergent fiscal policies in the different member states fuelled huge imbalances that the states themselves could not address through their own monetary policy – using interest rates to limit inflation or currency exchange to restore competitiveness – and conversely during the crisis, the EMU had no fiscal capacity to complement monetary policy in order to reignite the economy. We could play the blame game with one or the other, criticising the deficit countries for their huge public or private indebtedness or those in surplus for their lack of internal demand. Alternatively we could simply recognise the limits of the aforementioned EMU asymmetry and try to establish a better architecture, one which guarantees convergence instead of divergence among member states, and one that is able to deploy anti-cyclical instead of pro-cyclical measures, both at member state and EMU level. That’s exactly what the joint report of the European Parliament’s Committees on Budgets and Economic and Monetary Affairs aims for: a Convergence Code for the member states, with incentives rather than just sanctions to be respected, the establishment of automatic stabilisers, feeding a “rainy day fund” during good times and deploying an unemployment reinsurance during downturns, and an EMU-wide investment capacity for the common good and to help exit recession. This is probably the most urgent step and could be taken forward by anticipating the necessary resources by borrowing now to reignite the economy, and paying them back in the future, once the economy is running well, with assigned budgetary revenues –whether current or new. It would seem illogical to oppose such a design. Yet there are still those who believe in a narrative of good boys and bad boys as having caused the crisis, both inside the European Parliament and in the member states. This attitude was evident during the European Parliament’s hearing on Monday (11 July) with the seven eurozone finance ministers. For some of them, we are already in a perfect world and we must just wait a little longer to see the benefit of punishing the bad boys. For example, Portugal and Spain are both under threat of sanction because of their deficits, while Germany and the Netherlands exceed the surplus limits annually with nothing more than a gentle ticking-off. Pushing this unfair asymmetry any further will only lead to increased public disaffection and growing economic deflation. Brexit can be an opportunity for Europe, if we react smartly and correct the structural design flaws, or it can also be a step towards the end of the EU. It will depend on our ability to sort out the dire economic situation that fuels Euroscepticism. In the end, if the problems and their solutions exclusively depend on the behaviour of individual countries, what incentive is there not to ‘take back control’? Europe is and must be much more than an exclusive members’ club, it is and must be more than the sum of its parts. And Europe not only has obligations to Europeans, but to the whole world. No, he’s not! He is Spain’s Minister anti-Economy and anti-Competitiveness and head of the Panhandle Department. Why is it that always the dysfunctional Souther Countries are begging for money after they have failed to do basic accounting and implementing rules for financial stability? This joker should be stripped of any (financial) personal property and be exposed as a fool in the Zoo! Get Rid Of The Euro Single Currency !! !